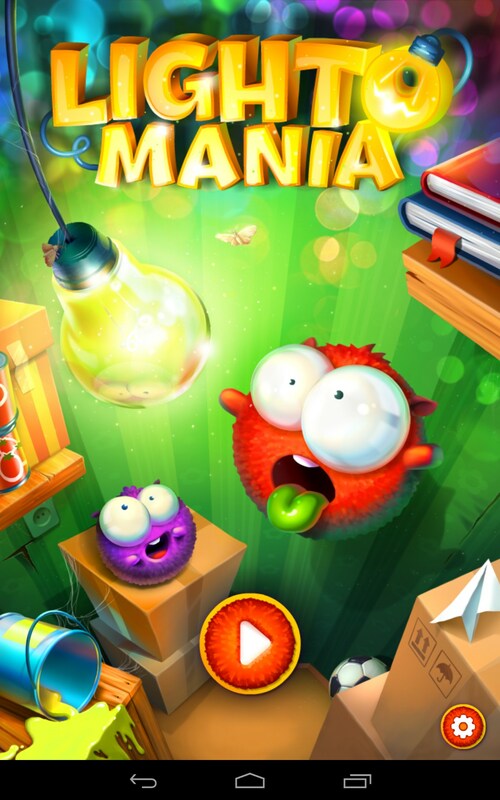 Lightomania – Games for Android 2018 – Free download. 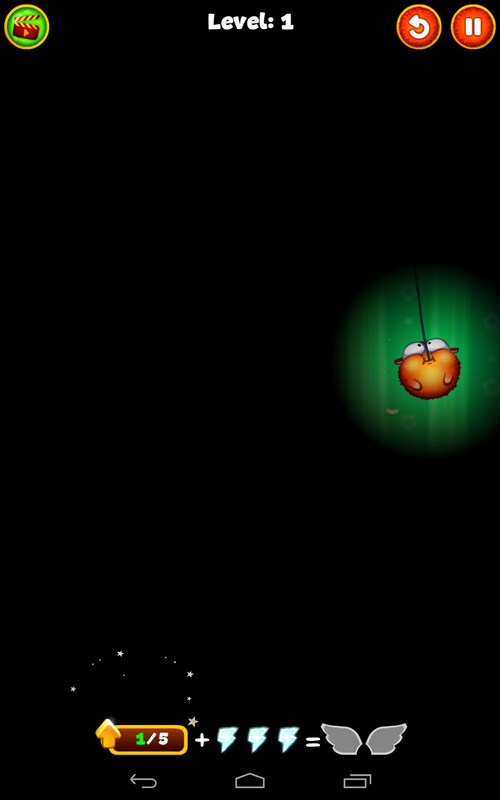 Lightomania – Help weird creatures find all bulbs. 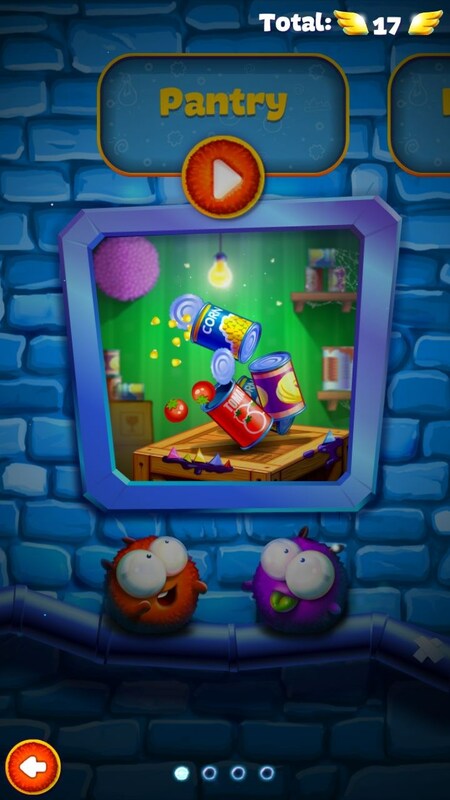 Lightomania is a great logic arcade game for Android which is quite similar to Cut the Rope game series. 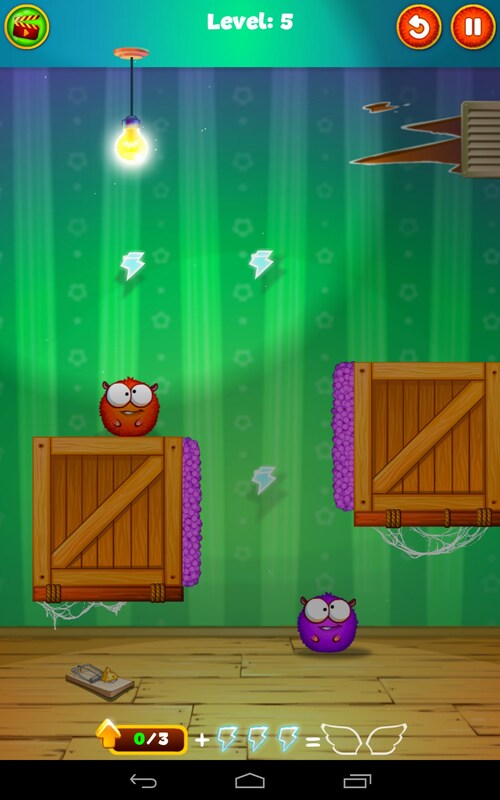 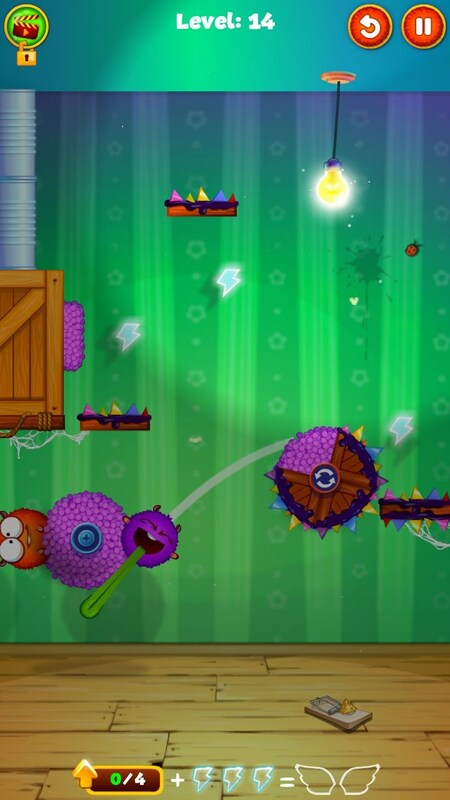 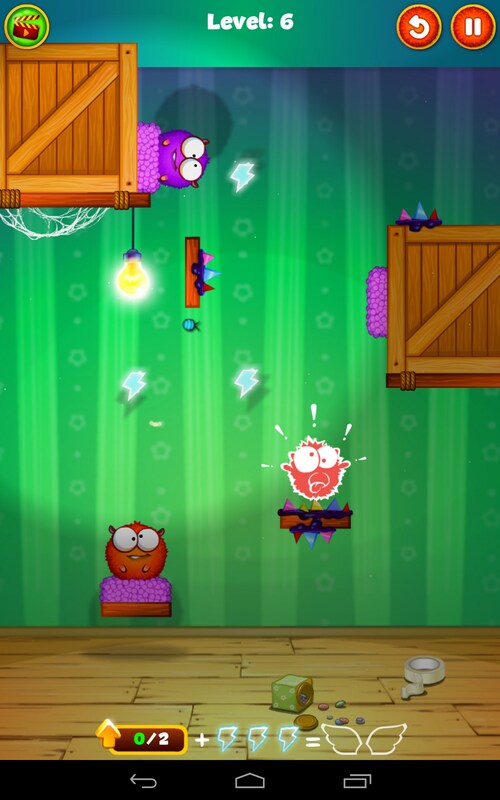 Featuring quality detailed animation and lots of exciting levels, it lets you help strange creatures from another world overcome all obstacles on the level and get to the bulb that’s hanging down the ceiling. 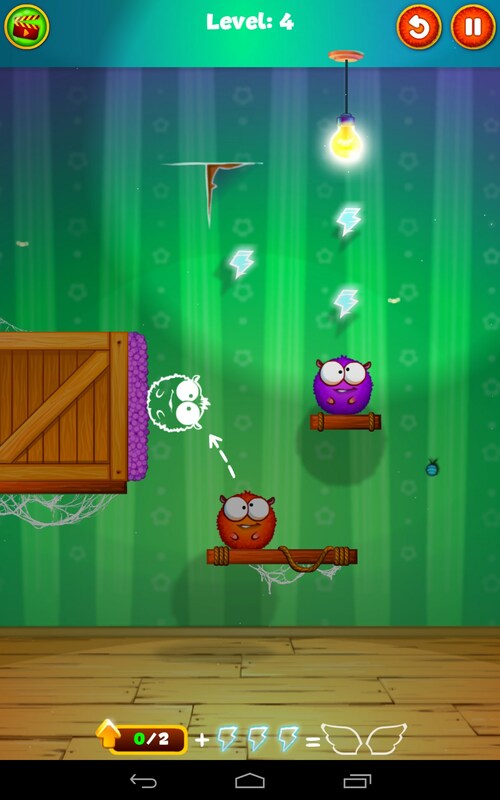 Every level will have one or two of these fancy creatures and several electricity bonuses. 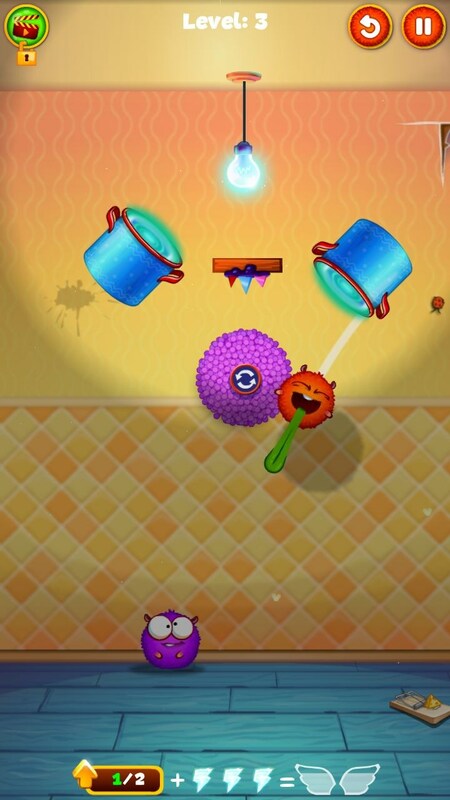 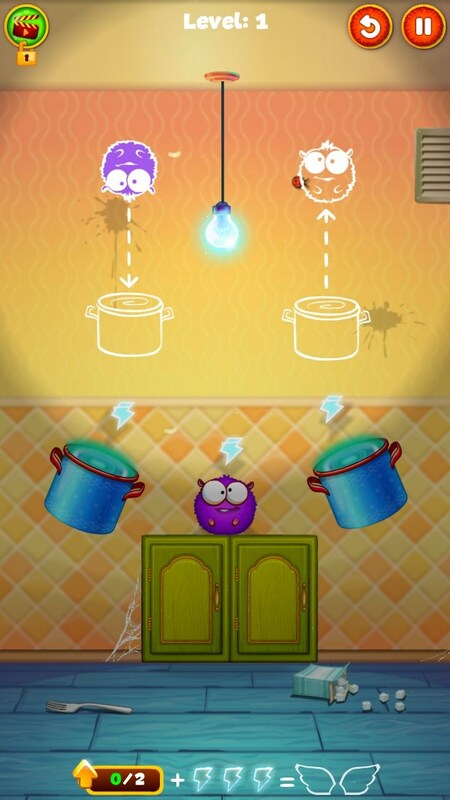 You will need to pull the creatures so that they jump and collect as many electricity bonuses as possible and catch the bulb. 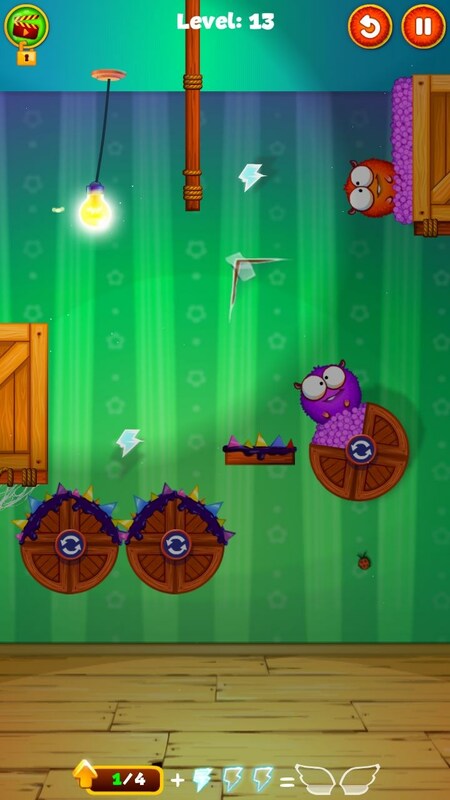 Remember that the creatures will be jumping back from one another, which will help you to overcome obstacles and calculate your trajectory. 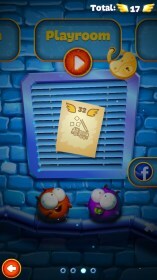 The levels will be full of danger and the more you play, the more challenging it will become. For example, some levels will have thorns that will kill your creature if it lands on them. 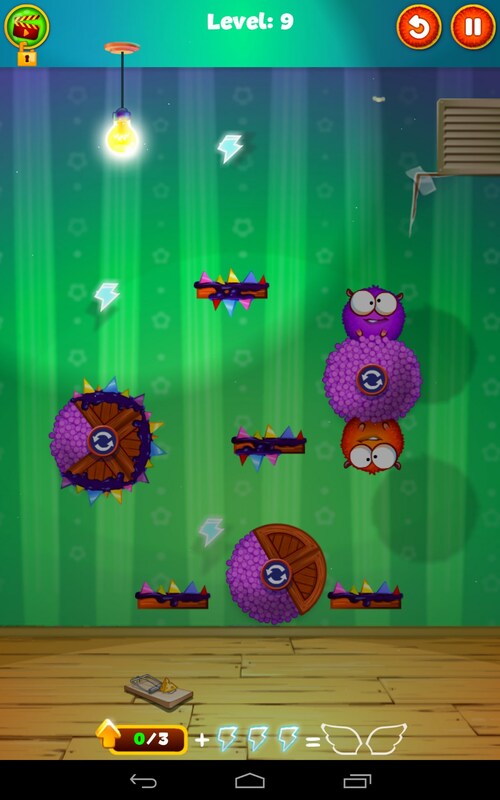 Also, there will be special sticky surfaces that will help you to move about the level and get closer to the bulb. 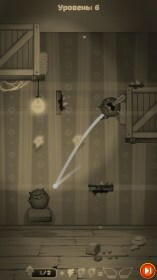 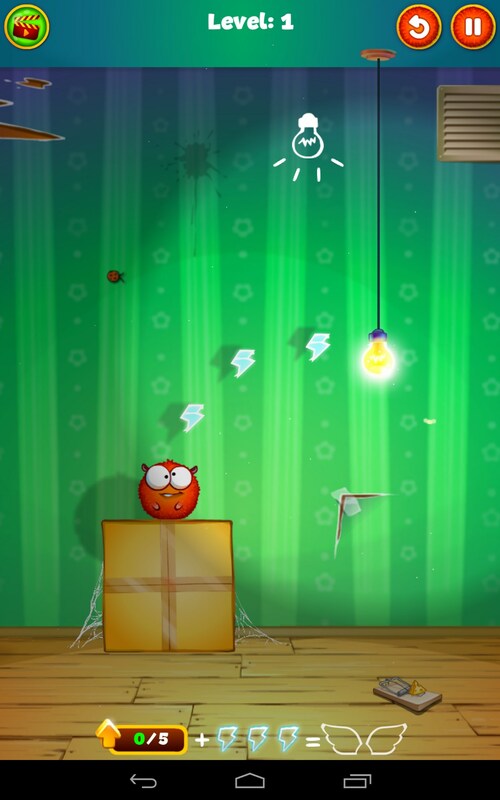 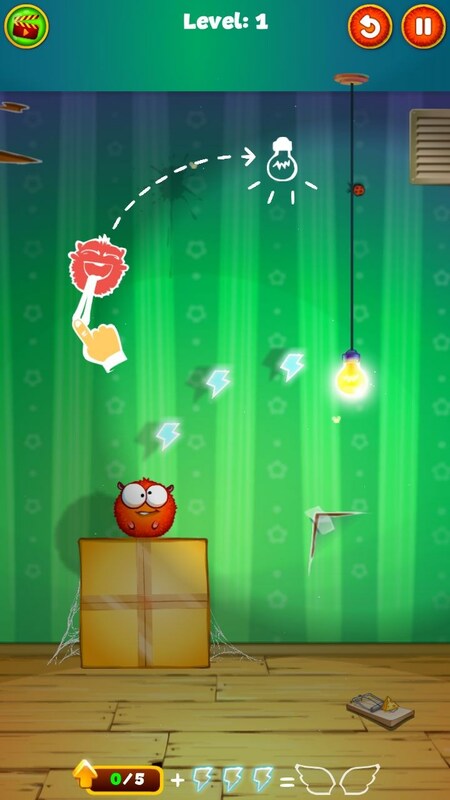 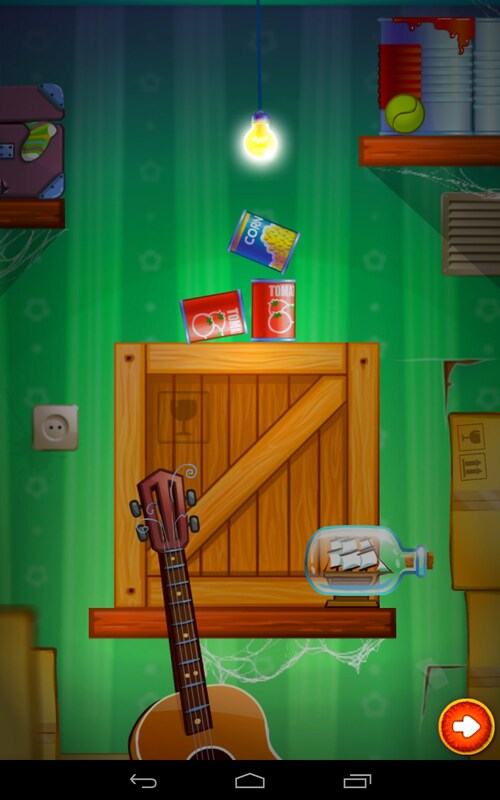 Lightomania is an amazingly sweet brain teaser for Android that can be called a counterpart of Cut the Rope. 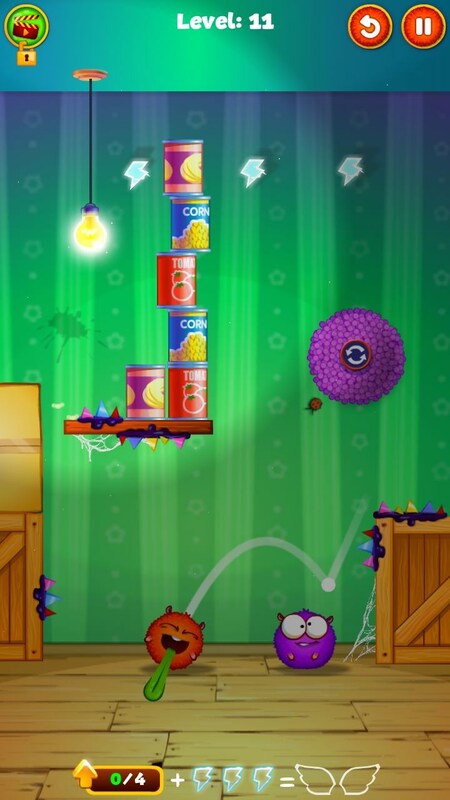 It features lots of levels and many exciting tasks. 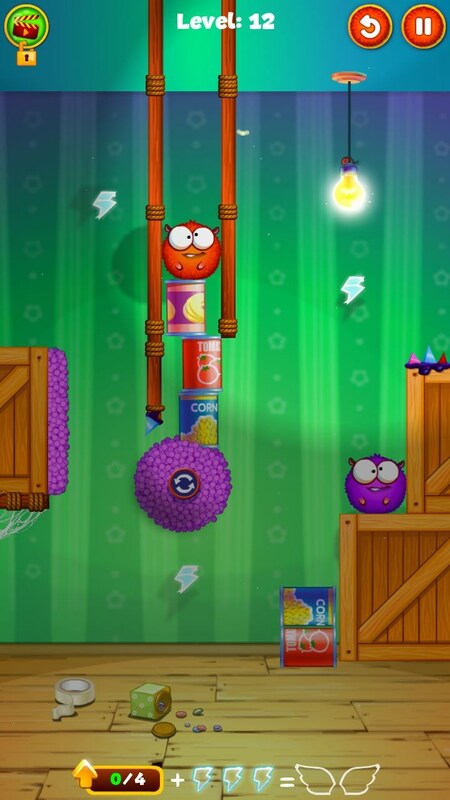 Now it features just three mission packs, but the developers promised to add more levels in the near future. 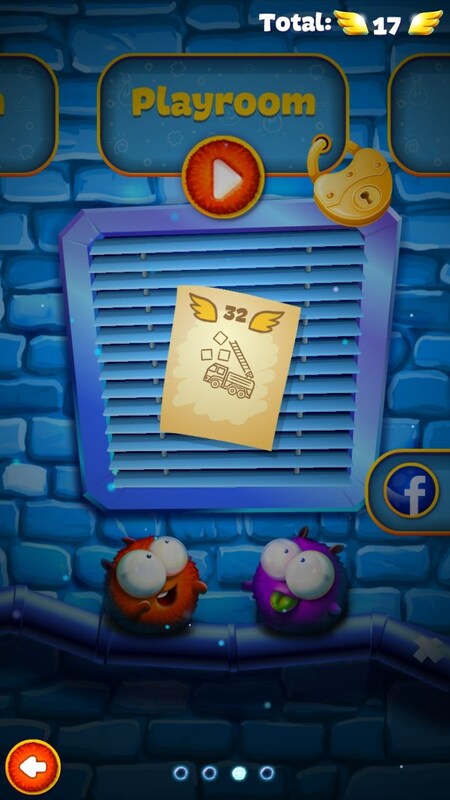 Hi Am Amalia by name and i want us to be friends if you don't mind, please reply me with my email here (amaliaalejandro@hotmail.com) so that i will tell you about me ok.